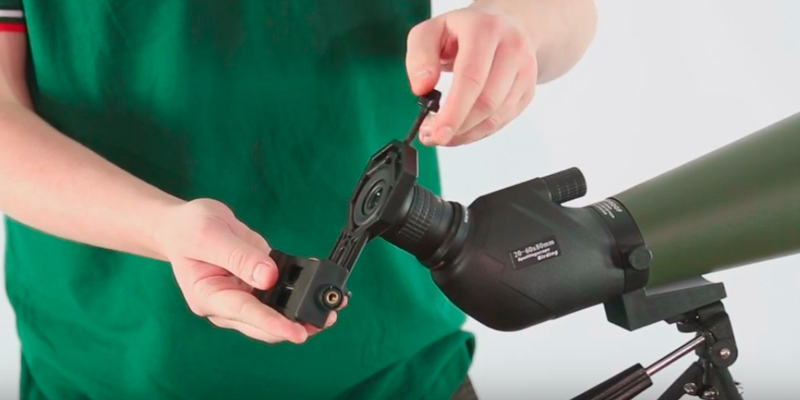 The model is incredibly easy to operate with a convenient 45º angled eyepiece. 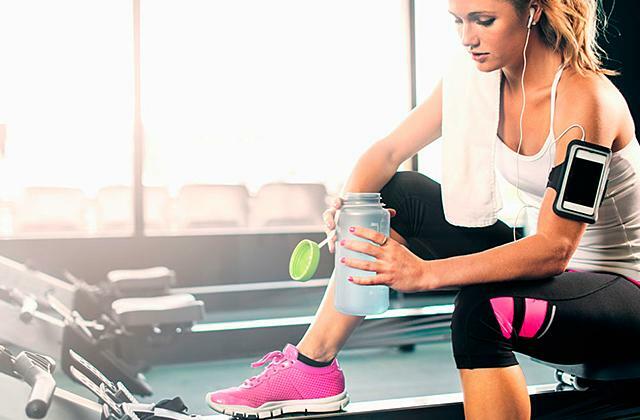 The zoom and focus knobs tend to move smoothly without causing any kind of discomfort. The light gathering feature is exceptional. 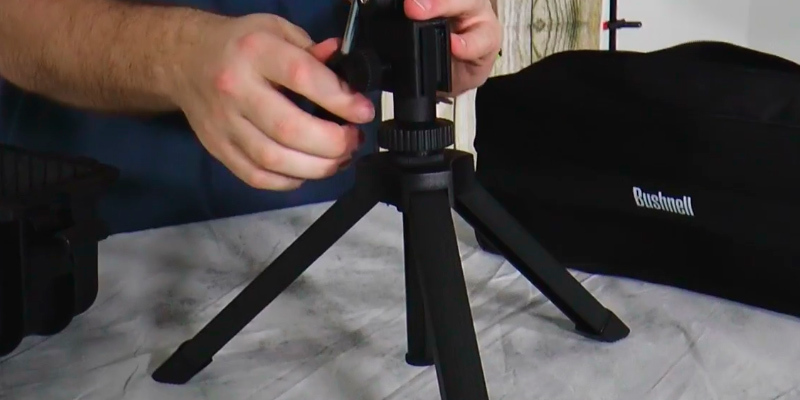 The package does not include a tripod. 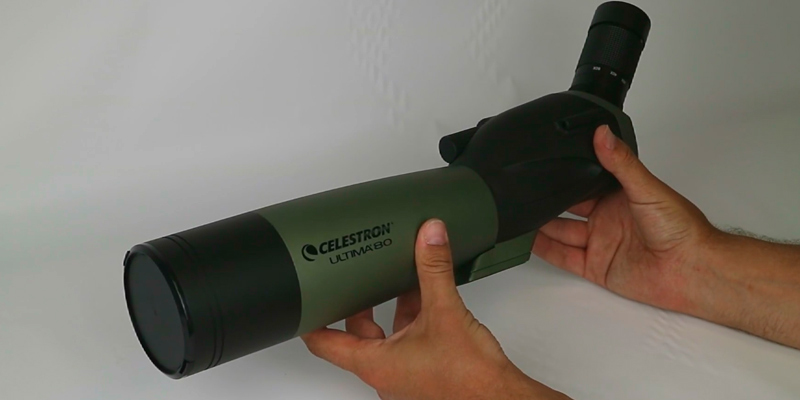 Whether you're an experienced hunter or just looking to get started in this exciting new world, the Celestron 52250 is a spotting scope that will be able to satisfy even the pickiest customers with its sleek design and plentiful features. The eye relief on the Bushnell Trophy XLT is a more than generous 18.3mm, giving you plenty of room to be able to see through the eyepiece. The field of view is rather commendable as well, providing a full 55 feet at 1,000 yards with 60X magnification, and 110 feet at 1,000 yards with 20X magnification. Close focus distance is a bit far out at 32.8 feet. If you're the kind of person that appreciates quality and durability above anything else and will never tolerate a device of subpar quality, you will absolutely not be disappointed with the Bushnell Trophy Xtreme Spotting Scope. The 20-60x60 WP Colorado Spotting Scope houses multicoated optics in a rugged weather sealed housing to protect the scope from harmful weather conditions and includes a lens cover for some additional protection. The model is 100% waterproof and fog proof making it the perfect device for any kind of naturalist. The magnifier is hard to turn and the eye relief adjustment may take some time to get used to. This spotting scope will leave the users pleased with its field of view, coated optics, and eye relief. It does not require any assembly and is more than easy to use making it a great choice for the customers looking for a model that will do its job without having to deal with unnecessary features. This device features superior magnification and provides users with wide viewing angles. It is not fogproof and the lenses can get misty during temperature drops. The Gosky product allows you not only to watch the flora and fauna but also make photos and videos with your smartphone. And owing to a digiscoping adapter, you can share these media files with friends. This scope has extremely resistant and durable framing and multicoated optics which ensure the great visibility. This device is not convenient to use in a lying position. 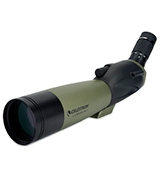 It is an affordable yet reliable option if you need a high-quality scope both for nature and shooting competition observation. It's also a great gift for kids! Unfortunately, nowadays you will be able to hear a load of often pointless debates regarding the question of hunting. Some critics tend to say that hunters do not care about the environment. But anyone who hunts or has been around hunters for a noticeable period of time is aware of the fact that hunters are one of the most avid and passionate protectors of nature on the planet. Even though there are considerably fewer hunters now than a couple of decades ago, they tend to spend a substantially bigger sum of change on hunting-related gear, meaning that modern hunters tend to show even more dedication towards the conservation than their predecessors used to do. And that's not to mention the fact that hunting provides a substantial amount of nutritional and health benefits. Hunters generally tend to be occupied with preparing blinds, tending food plots, scouting the woods, target shooting and some of them even go as far as training dogs. Not to mention the fact that hunting is an absolutely natural physical activity that can be done alone, with acquaintances and/or with people that are closest to you. Aside from the more obvious physical benefits of scouring the woods, hunting provides social-emotional health benefits. A large portion of the hunter population insists that they tend to receive a therapeutic/relaxed sort of feeling when they are out hunting. And a large number of them like the challenges that temperature, harsh weather conditions, and terrains are capable of adding up to their hunting experiences. With all of these potential benefits, there's really no reason not to grab the Celestron 52250 spotting scope and enjoy everything that hunting has to offer. 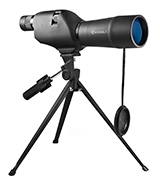 The Celestron 52250 80mm Ultimate Spotting Scope is a perfect choice for individuals interested to get started in the world of hunting as well as some of the more seasoned and experienced sportsmen. 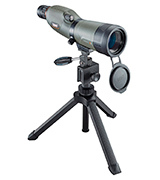 This model comes with an 80mm objective lens that is capable of providing magnification from 20X to 60X. All you have to do is zoom through the eyepiece, and the zoom wheel will do all the necessary job that would allow you to focus in and then bring your target right up to you. The resolution and clarity of the image may suffer if you're looking to put that 60X magnification to use but for an average hunter anything below 30X ought to be enough and that's where this device excels. 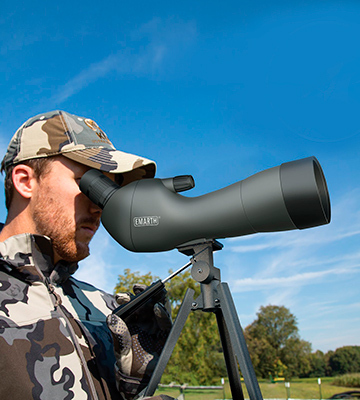 The model is incredibly easy to operate with a convenient 45º angled eyepiece. The zoom and focus knobs tend to move smoothly without causing any kind of discomfort. You will also be able to find a sight tube for quick targeting, that grants you the ability to easily line up your target with the so-called naked eye before panning around to fine-tune your target image. The light gathering feature of the Celestron 52250 80mm Ultimate Spotting Scope doesn't leave much to be desired either and can be used to even view the moon with an acceptable level of quality. The image of the moon does not lack any brightness and you're quite unlikely to encounter any haloing or ghosting. 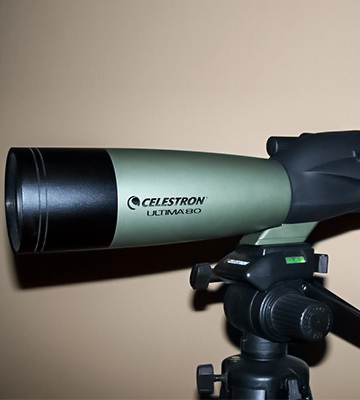 Since the Celestron 52250 80mm Ultima Zoom Spotting Scope is a piece of equipment that is more than capable of doing an adequate job in terms of observing the nature but primarily used for hunting, one of the most important aspects of it would be the design and size of it. A spotting scope designed first and foremost with hunting in mind ought to feature a certain kind of convenience and mobility that won't get in the way of your sporting experience. Fortunately, the developers of this gear were more than aware of that which is why this spotting scope weighs less than 5 pounds and boasts no more than 6 x 7 x 20 inches in overall dimensions. The model features a sleek, waterproof design and comes with a padded soft case with zippers on both ends so the scope would have more than enough protection even while mounted on a tripod. The rubber eyecup can be removed to expose a standard “T-thread” for attaching a camera. 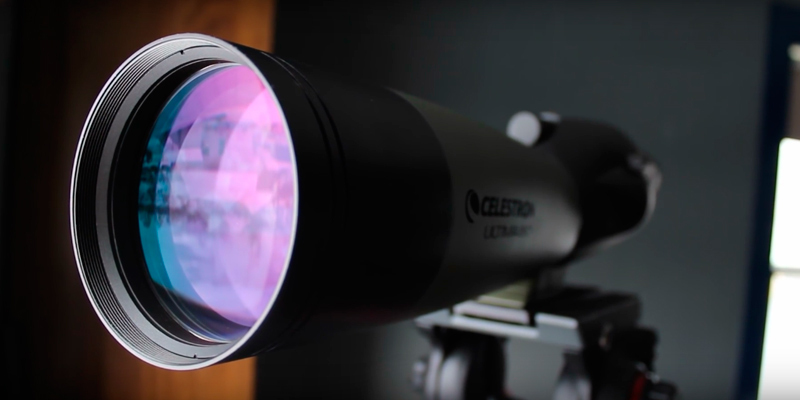 Whether you're an experienced hunter or just looking to get started in this exciting new world, the Celestron 52250 is a spotting scope that will be able to satisfy even the pickiest customers. So much has been said about the beauty of nature over the hundreds and thousands of years that praising any part of it would make any author sound like a broken record at best and like a plagiarist at worst. But not saying anything wouldn't necessarily do the devices we're reviewing here today justice since one of their primary functions is the ability to provide its users with a chance to witness the elements of nature that our naked eye is simply incapable of handling on its own. A lot has been said about the beauty of isolated and solitary summits and just as much about the huge mountain belts that present an entirely different but always alluring attraction with each passing season, be it the scary yet thrilling view of their entirety covered in snow and ice during the winter or a calm or endearing attraction that is only possible to observe somewhere around the time of the late spring to an early summer. The overwhelming vastness of an ocean or even the sea is hard to downplay and the ridiculous scale of the largest forests and deserts is enough to leave even the most eloquent individuals speechless. And, of course, that's just some of the thing that could be found on our planet and we do not intend to even begin to comprehend the beauty and size of everything that surrounds this tiny little planet we call Earth. Luckily enough, you don't have to read the rantings of authors and poets in order to experience all of these things. All you have to do is order the Bushnell Trophy Xtreme Spotting Scope and experience the beauty of nature and everything that surrounds all on your own. One of the first things to look for when you decide to purchase a spotting scope would be the design, size, and exterior of the device. Since you're planning on taking it out to nature, it has to be comfortable and capable of withstanding whatever the outside world throws its way. And the Bushnell Trophy Xtreme Spotting Scope absolutely delivers in that regard featuring a compact yet powerful design with a housing encased in rubber armor, and the necessary controls right where they ought to be. 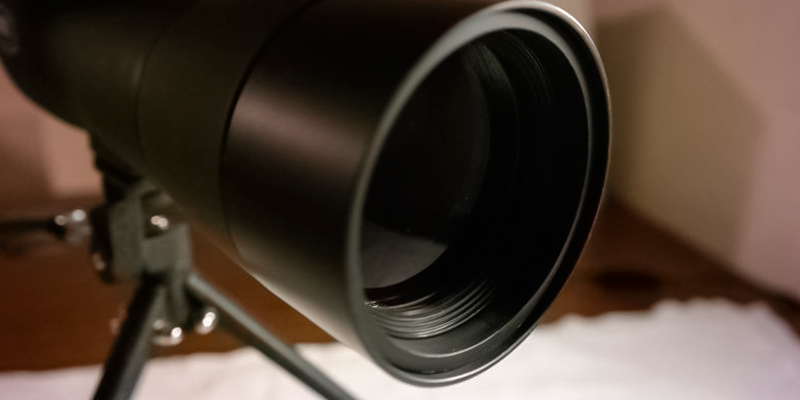 Some users reported that they would've liked to see some texture on the housing, but this spotting scope was never designed to be used handheld and is meant to be mounted on a tripod. Since the body of this model is covered in a rubber-armored housing and the glass is backed by the manufacturer’s “Bulletproof Guarantee", calling it anything other than durable and protected would be an understatement. The scope is both waterproof and fog proof, with O-ring sealed lenses and a nitrogen-purged optics chamber. But if you do manage to somehow damage this device, the manufacturer guarantees to give you 100% of your money back, no questions asked. But any device is only as good as the performance that it is capable of offering in its respective field. 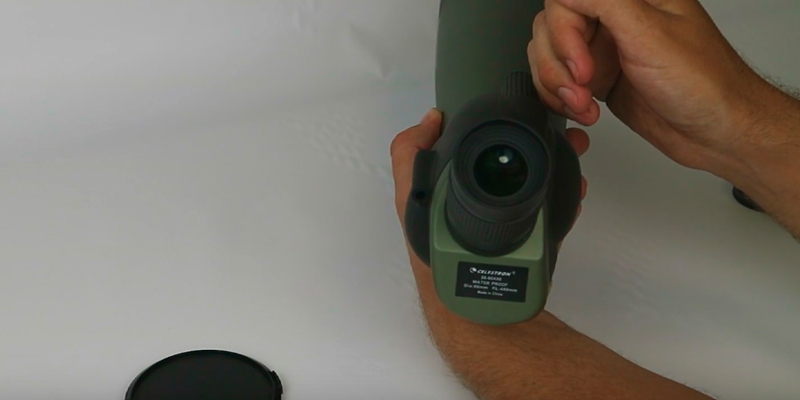 Since the item in question is a spotting scope, one of the main demands customers are going to have towards it would be the quality of the optic. 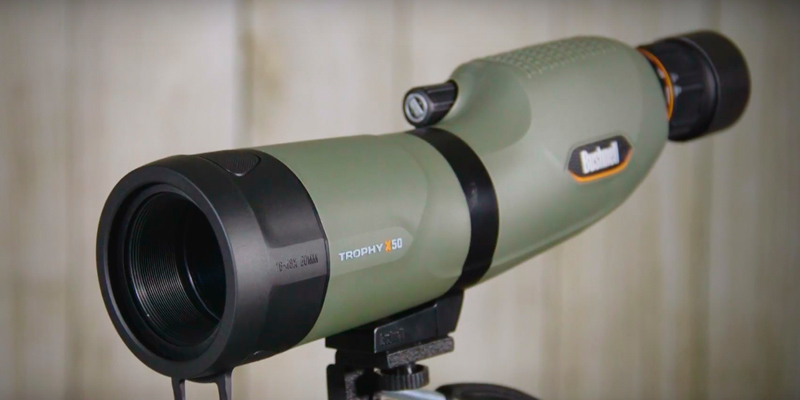 And the Bushnell Trophy Xtreme Spotting Scope does not let down its potential customers here either featuring a generous 65mm objective lens and providing an adjustable magnification from 20X to 60X. The device is absolutely outstanding for spotting wildlife or sighting in a gun, and the image is of exceptionally high quality. You won't be able to notice even the slightest chromatic aberration in the image, meaning that the manufacturers did an admirable job developing the optics for this spotting scope. 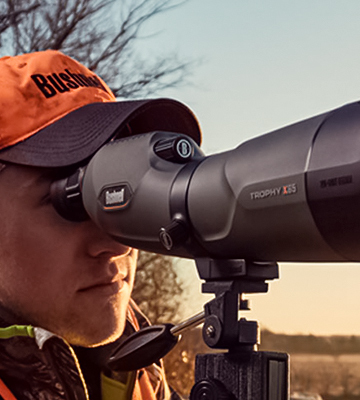 The eye relief on the Bushnell Trophy XLT is a more than generous 18.3mm, giving you plenty of room to be able to see through the eyepiece, even if you happen to be wearing glasses. The field of view is rather commendable as well, providing a full 55 feet at 1,000 yards with 60X magnification, and 110 feet at 1,000 yards with 20X magnification. 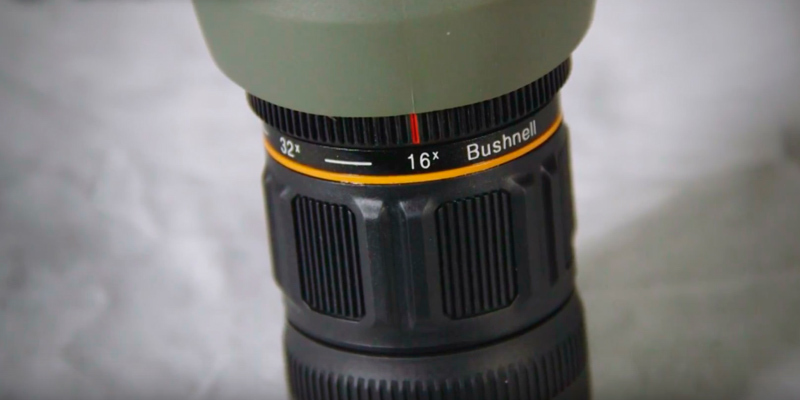 If you're the kind of person that appreciates quality and durability above anything else, you will absolutely not be disappointed with the Bushnell Trophy Xtreme Spotting Scope. The charm and certain type of attractiveness of wild nature aren't one of those subjects that lack notoriety, so much so that even the most pessimistic individuals that aren't looking to acquire a spotting scope will be hard-pressed not to admit a certain kind of attraction that comes along with it. But as much as all of these people praising the beauties of nature are speaking the truth, there's another side to it that isn't any more false than the previous one. What we're talking about here is, of course, the dangers that come along with all of this attractiveness of nature and everything that surrounds us. As much as you may find the mountains to be breathtakingly beautiful and exciting, one cannot deny the threat they represent, especially the ones that stretch towards the skies for miles away. The desert may be awe-inspiring and remarkable, but the number of potentially deadly hazards it hosts is hard to even quantify. The largest of forests and the most sizable jungles are home to countless rare and exciting plants, trees, animals, birds, and insects but very few of them pose no threat to your average human being. And the ocean may seem warm and welcome but one does not have to look further than to the latest and biggest tsunamis that managed to wipe out hundreds of thousands of people and cause an incalculable amount of damage and destruction. 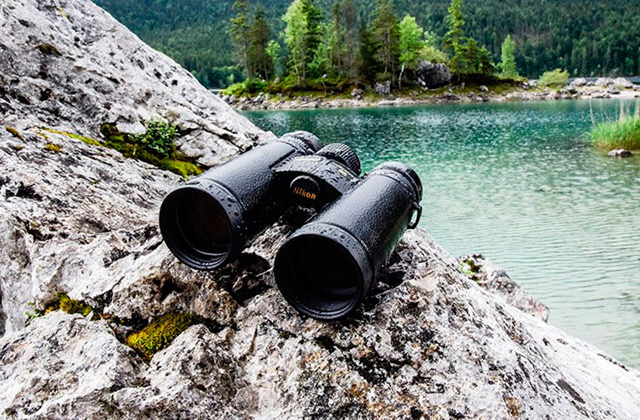 The answer to all of that, of course, is not to give up on observing the beauties of nature, but simply gear up with the most appropriate equipment that would allow you to monitor the nature from a more safe and secure spot. 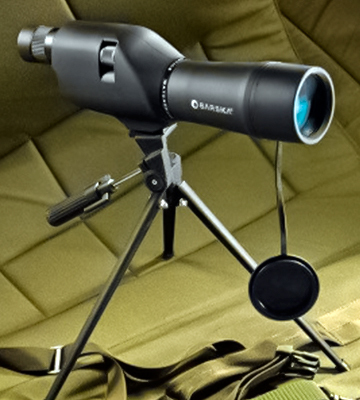 And the BARSKA 20-60x60 Waterproof Spotting Scope is exactly the kind of device that will perfectly suit your needs. There are very few truly exceptional companies when it comes to a field as specific as spotting scopes. But if anyone has the right to uphold this kind of title, it would certainly be the company behind the BARSKA 20-60x60 Waterproof Spotting Scope. This is a device developed and created by one of the biggest optics manufacturers in the world. 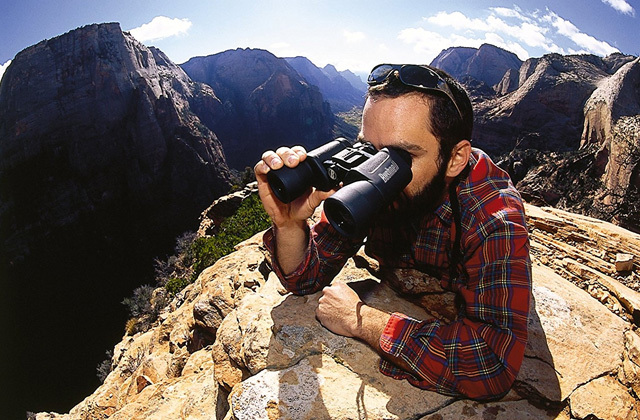 When it comes to quality optics, BARSKA is one of those companies whose name comes up first. And this particular model is no exception to that rule. The 20-60x60 WP Colorado Spotting Scope houses multicoated optics in a rugged weather sealed housing to protect the scope from any type of harmful weather conditions and includes a lens cover for some additional protection. The model is 100 percent waterproof and fog proof making it the perfect device for any kind of naturalist that is willing to put himself through any kind of discomfort and even danger and is looking for a device that will show the same level of enthusiasm and the ability to back that willingness up. When it comes to a spotting scope, you simply cannot underestimate the importance of solid optics. BARSKA are veterans in this field so it shouldn't surprise anyone that this model features an impeccable 60 mm objective lens that provides the users with clear sharp images even in the lowest of lights. The device delivers a varied field of view at 91/30 feet at 1000 yards and 45/15 meters at 1000 meters. The spotting scope also features a close focus of 23 feet meaning that the lens has a wide field of view for hunting, astronomy, bird watching, surveillance and a plethora of other potential operations. The 20 to 60X magnification can be adjusted by operating a power selector around the viewing lens. All in all, the model is incredibly convenient and offers a long range of view. The device also features a BK-7 prism which helps with image resolution. The fully coated optics deliver an outstanding light transmission. The optics also provide the owner of this device with clear and colorful images. Talking about eye relief, the model comes with an 18.1 to 15.2 mm variation. The rubber ring will prove useful to those users that stand to wear glasses. 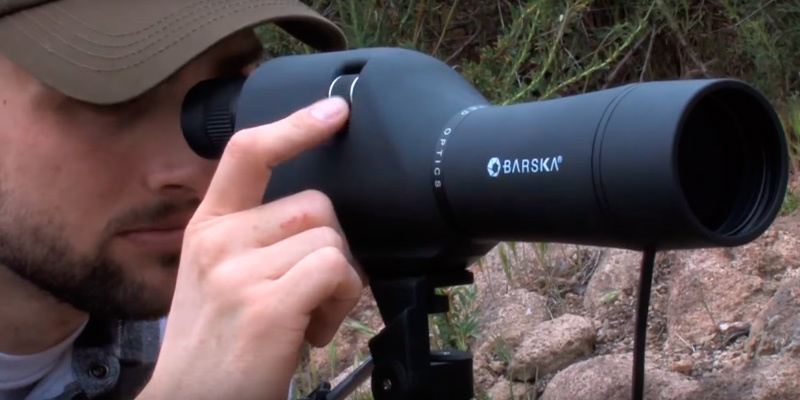 The BARSKA 20-60x60 Waterproof Spotting Scope is the kind of model that will leave the users pleased with its field of view, coated optics, and eye relief. It does not require any assembly and is more than easy to use making it a great choice for those customers that are looking for a model that will do its job without having to deal with unnecessary useless features. Probably, everybody has at least once regretted to be unable to save some views by making a photo which could be later shared with friends. 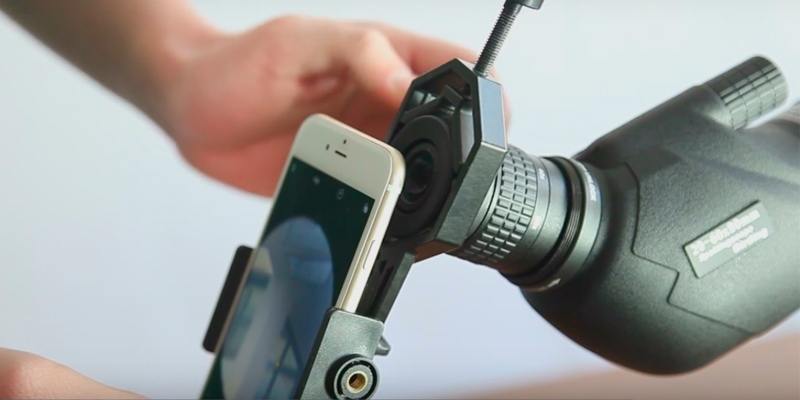 That is why Gosky has designed a unique solution featuring the spotting scope equipped with a smartphone adapter. This scope allows you to get fully immersed into nature, make new amazing discoveries and keep them as photos stored in your phone memory. Evidently, to get a good picture you should feel sure of your spotting scope optics. And the Gosky 20-60 x 80 device сomplies with the most strict requirements. We would like to mention that all lenses of this scope are fully multi-coated. It has the high-quality prism inside ensuring the clearest and brightest view and delivering ultimately crisp images. The manufacturer has developed several outstanding technical solutions allowing you to use this tool under the harshest conditions. 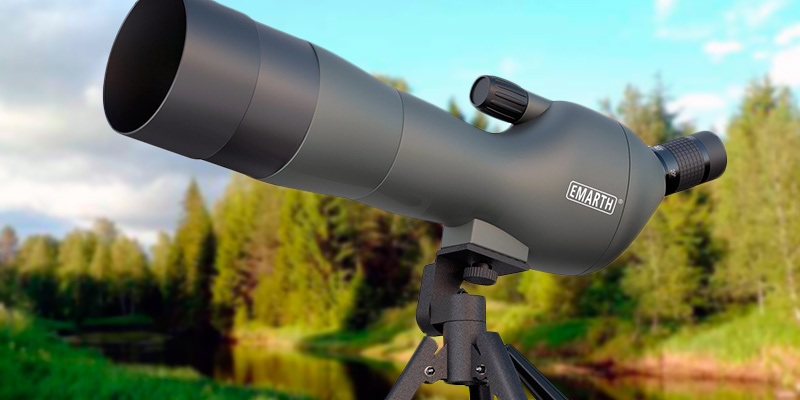 The scope is very user-friendly and convenient - it has a rugged durable framework, which is a mandatory feature for a truly reliable outdoors’ device. The framework is securely protected from external impacts. It is fully sealed and waterproof. It is also shockproof and can survive hardest hits and blows. You can take the scope with you for hunting, hiking and mountain climbing, or for a routine forest walk. 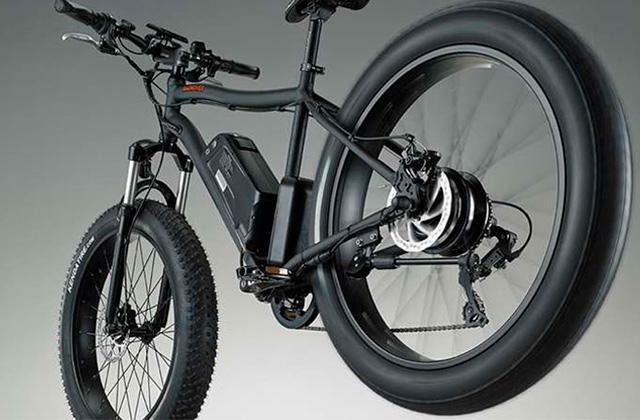 That is why it will be an ideal choice for any outdoor activity. And a protective carrying case supplied with this scope will add comfort to its transportation. It is also equipped with a tripod for mounting on any horizontal surface. This will help you make a perfect photo at any distance. Galileo Galilei was among the first scientists who attempted to design a telescopic tool. He did not just make technical drawings but tried to make a specimen. He has made his first telescope with 3x magnification in 1609. He used it to observe objects on the land and in the sea. Later, with a 30x magnification model, he switched to studying stars and planets. His equipment allowed him to make the greatest discoveries that are the immortal contribution to the science. He has discovered satellites of Jupiter, some new stars of the Milky Way and also spots on the Sun. Many people still believe that Galilei has actually discovered the telescope, though he used the telescope drafts made by Hans Lippershey earlier. 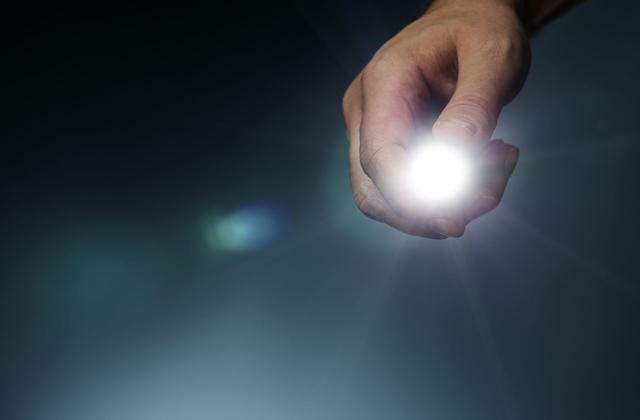 The undisputable fact is that many theories and ideas developed by Galilei are still used in the production of optical devices with great magnification rates. In order to use your scope with comfort, you should purchase a special tripod like this: BARSKA deluxe tripod extendable to 63.4" w/carrying case. 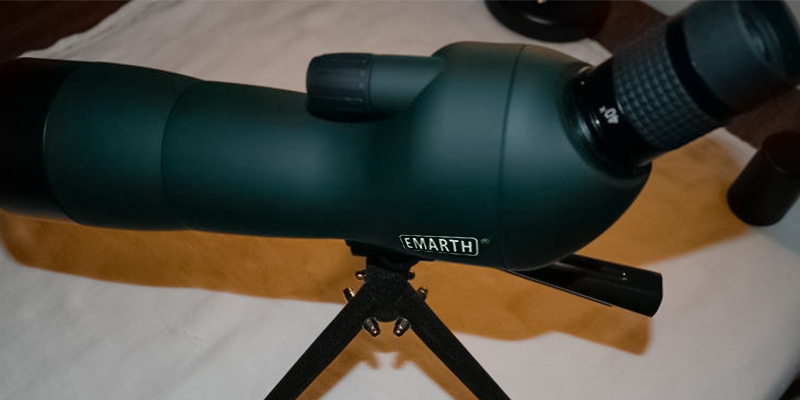 If you plan to buy your first spotting scope and know nothing about these devices, the Emarth product is a great choice. It is good and affordable. Judge it yourself. For a modest price, you get a scope featuring a sufficiently quality view and a relatively powerful zoom. Well, let’s take a closer look at the technical specifications of the optics to make the proper assessment. It has an average zoom making 128 feet with the lowest level of magnification and 62 feet with the highest magnification. 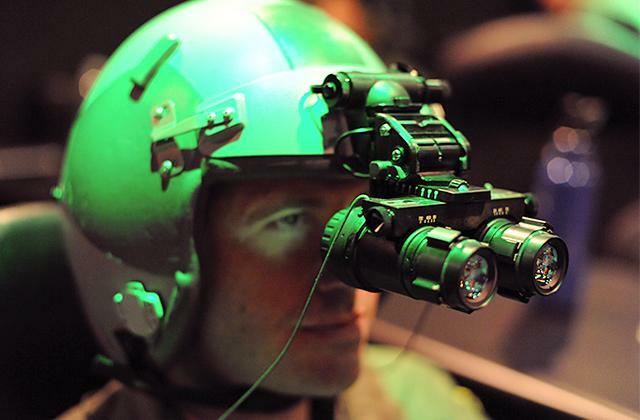 The image remains clear due to the use of dynamic optics and multicoated lenses. The objective diameter is 60 mm. 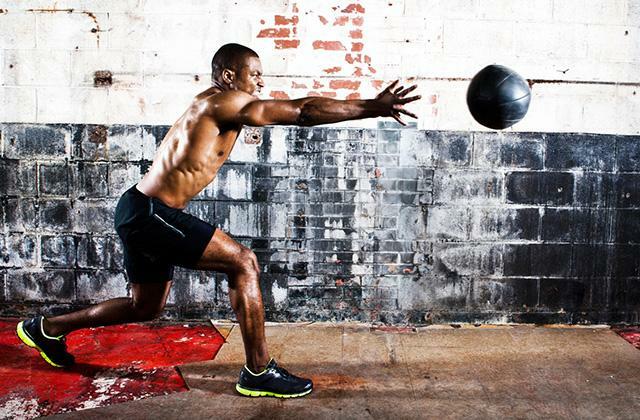 In a sum, the aperture is maximally effective considering all the technical features. The service life of any scope depends on the quality of its construction and the protection it features. The water-resistant and shockproof framework is no wonder today. However, until now these features were usually met in more expensive models. The Emarth scope breaks through the stereotypes. It promotes the affordability and has the same level of protection as more expensive and prestigious brands. 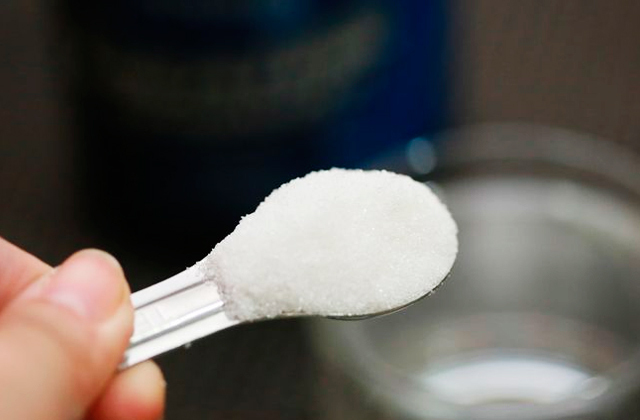 It does not require any special treatment, though can resist any impact. 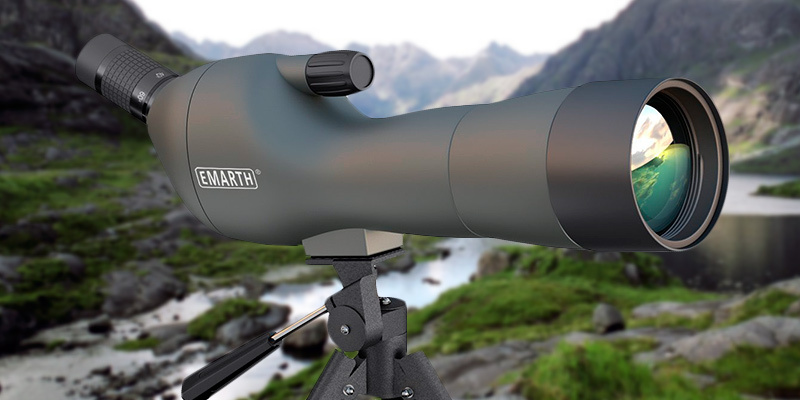 This combination of the durability and modest price makes the Emarth scope a perfect gift to an inquisitive kid. The optical device will stimulate the desire for learning and discovering. Opening new horizons with the spotting scope, your kid will see much more wonders! The one year warranty of the manufacturer might be an extra advantage if you really decide to make such a present to your child. One of the most successful researchers of optical lenses in the XVI century was Antonie van Leeuwenhoek from the Netherlands. He had succeeded to make the lenses featuring the 150x – 300x magnification. Initially, these lenses were intended to be used in microscopes. Van Leeuwenhoek discovered the whole world of microbiology with them. His discoveries include the infusoria in 1674 and the bacteria in 1683. The modern electronic microscopes with their incredible magnification rates could not be made without the contribution of this prominent scientist. 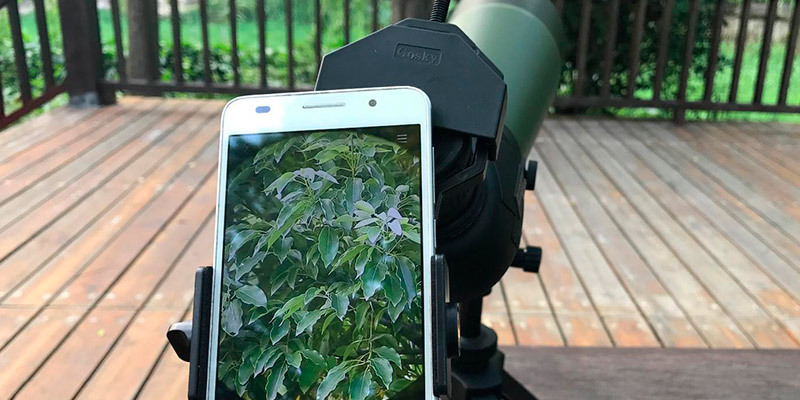 You can make vivid photos using this scope and your smartphone if you buy Gosky universal smartphone adapter mount for spotting scope telescope microscope binocular monocular. If you are enthusiastic about seeing the world and discovering new beautiful places that you could not see with a naked eye, you should get a spotting scope. It is exactly what you need to take a close view of objects which are too far. All spotting scopes and monoculars have the same basic construction. 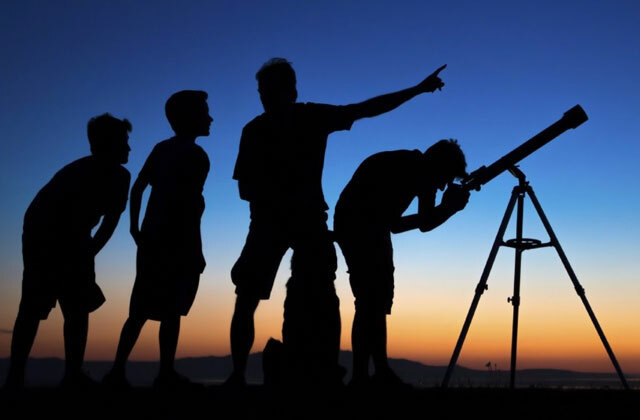 Essentially, any scope represents a small refractor telescope that is slightly more complicated than a monocular. At the same time, a spotting scope is much more powerful in magnification and, as a result, you get a brighter high-quality picture. Its dimensions are relatively compact and you can carry it with you while traveling or hunting. 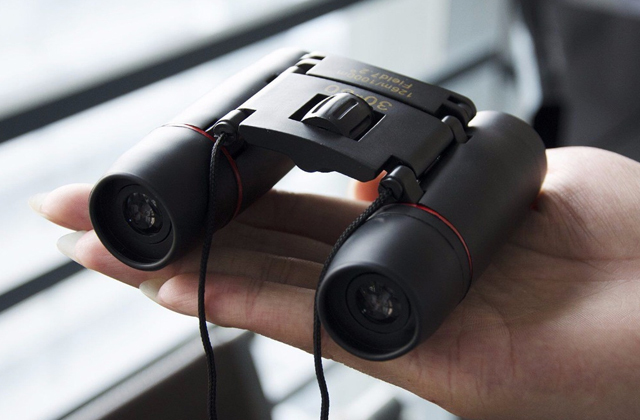 Overall, this device can become your reliable assistant whatever you do: watch birds or wildlife, hunt a deer or take a panoramic picture of your neighborhood. You can always be sure that the world will be closer to you if you look at it through your spotting scope. In case you want to purchase a smaller portable optics with lower magnification, you should give a chance to such a device as a monocular. The most important feature of any spotting scope is its optics; it is a priority for the right choice. There are several features you should consider. First of all, you have to look at the objective diameter. It determines the rate of the light absorption. The diameter is marked on the body right after the magnification level. The bigger the diameter is, the more ambient light it absorbs and the clearer view you get. The magnification can be adjusted as you like. Though, you must remember that the high level of magnification might cause blurring of the picture if the objective diameter is too small. In order to estimate the best ratio of magnification and the lens diameter, you should assess the exit pupil diameter, it should not be less than 1.33 mm. Otherwise, the view will be substantially distorted, in particular when you look at far away objects. Another important feature of the scope is its field of view. It is measured in feet per 1,000 yards or meters. 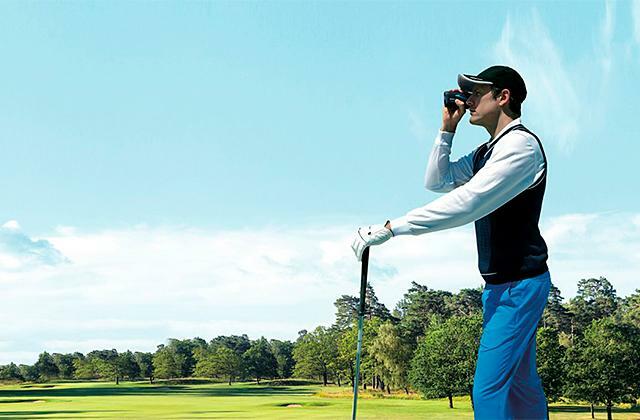 If you intend to track the fast moving objects, you should select a scope with a wide viewing field. One more fundamental criterion for the optics’ assessment is its coating and the type of lens glass. There are four grades of lens’ coating: Coated (C), Fully Coated (FC), Multicoated (МС) and Fully Multicoated (FМС). The glass type can be either BaK-4 or BK-7. The BaK-4 glass is more expensive, though it boasts better view quality. The other thing you may just as well want to check is whether the chosen spotting scope is angled or straight. 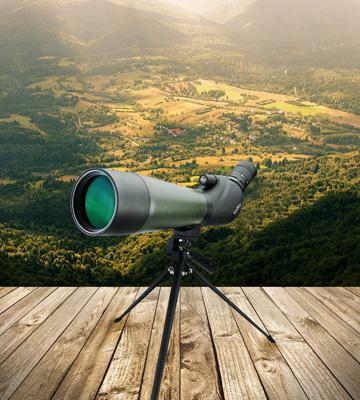 There isn't a drastic difference between two, yet according to professional hunters and spectators, using a straight spotting scope is more convenient if one needs to track down moving objects or target things below the feet like for example when standing on a cliff. While an angled spotting scope allows for more comfortable prolonged usage and is better adjusted at distant objects without a tripod. 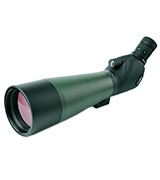 Definitely, every spotting scope should have a durable frame designed to resist any weather conditions. A good scope must be protected against various impacts. It should be water-resistant and shockproof since its body has to protect fragile lenses from damage if you accidentally drop it. The anti-fog protection is also important because, otherwise, you will not be able to watch objects through misty lenses. Your spotting scope can be shipped with a set of additional accessories. Many models are supplied with special tripods and adapters compatible with cameras or mobile phones allowing you to make pictures or shoot videos. The scope should also have reasonable dimensions and an appropriate weight to be portable. It's also a good bonus, if spotting scope comes with a carrying case for hassle-free transportation. 1. How to Buy a Spotting Scope, wikiHow. 2015. 2. Todd Vorenkamp A Guide to Birding with Spotting Scopes, B&H. 2015. 3. 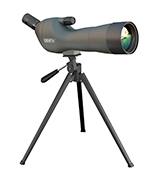 How To Choose A Spotting Scope, Orion Telescopes & Binoculars. 4. 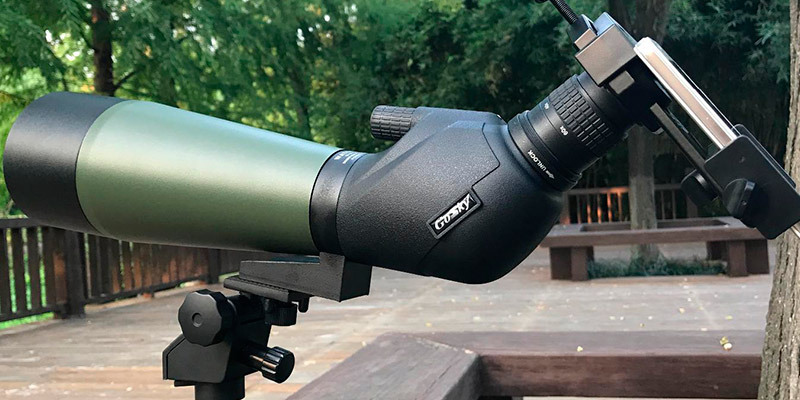 Steven L How to Select a Spotting Scope, Optics Planet. November 26, 2013. 5. 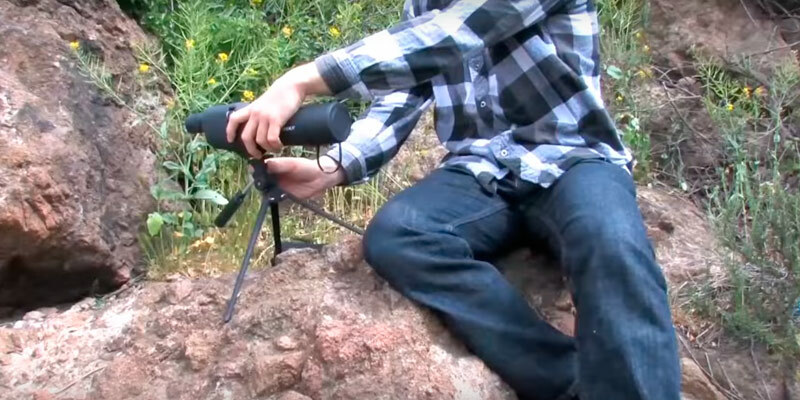 Andrew Pedry How to Use Sniper Spotting Scopes, eHow. 6. Melissa Mainz What Is a Spotting Scope? About. 7. 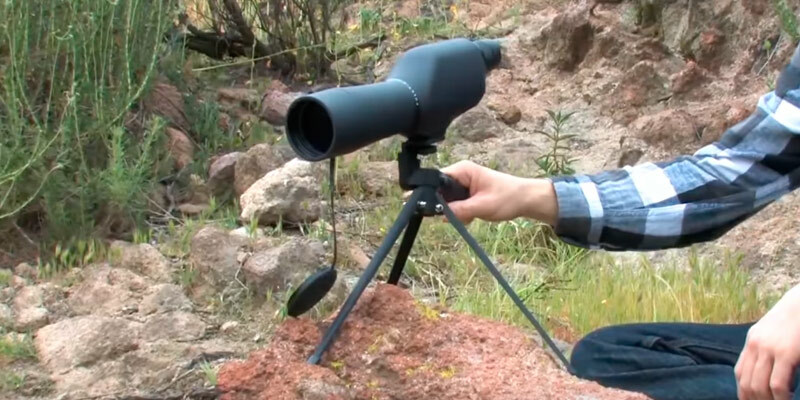 David Wilson How to Choose Best Spotting Scope for Birding- Beginner Should Know, Clapway. September 5, 2016. 8. Spotting Scopes Summary, Homeland Security.